Gabriel shows the prowess of Ali to the Prophet Muhammad. Shiraz, CE 1480. 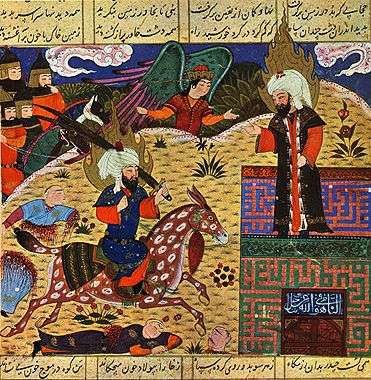 The birth of Bahram, from an album of Timurid miniatures. 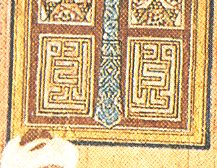 Herat AH 833 (CE 1429). Watercolour and gold on paper. 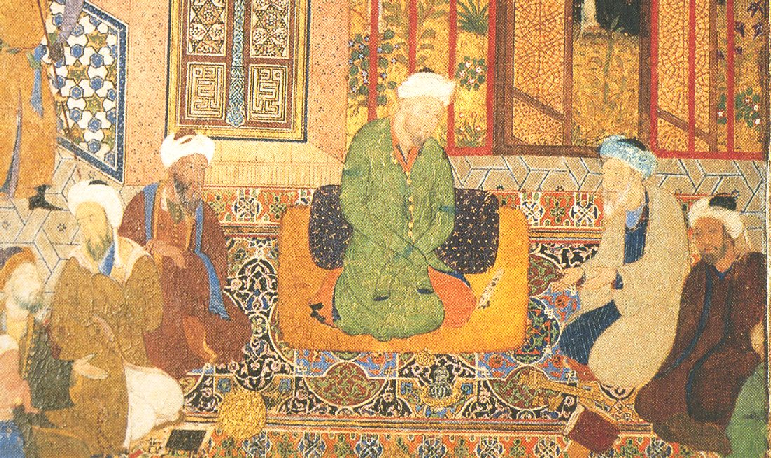 From the begining of a manuscript prepared for Shah Tahmasp, died CE 1576, of Firdawsi’s Shah-Nama. 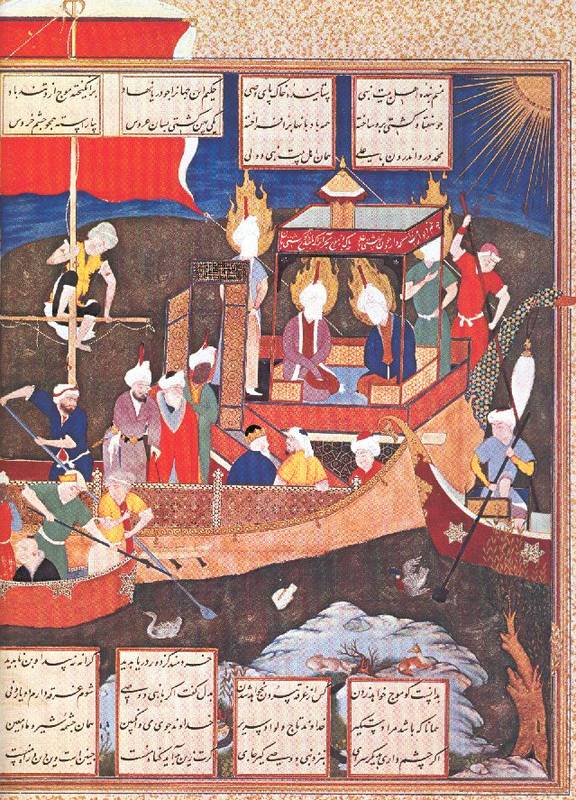 Muhammad and Ali, with Alis two sons Hasan and Husyan.